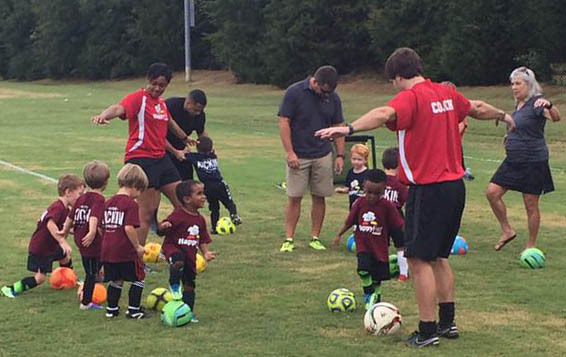 The Germantown Legends Soccer program is always seeking high-quality, energetic volunteers to coach and manage teams for children ages 5 to 19. Volunteers are the cornerstone of the Future Legends and Jr. 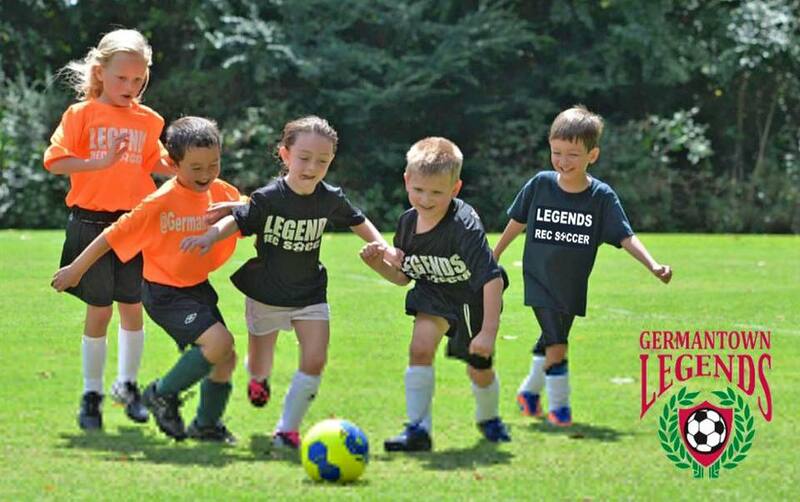 Legends (recreational soccer) programs. As a volunteer, you have the opportunity to teach valuable life-long lessons to children of Germantown. Self-confidence, sportsmanship, learning to be part of a team and promoting physical fitness are all values volunteer coaches can instill in the lives of local children. While over 50 local parents volunteer their time to coach in this program each year, we never seem to have enough. Securing coaches and other parent volunteers in advance of the season is of great necessity when organizing a recreational sports program. Join us and give something back to your community. Being a volunteer allows you to make new friends, build new skills and help Germantown children play at home. Remember, the Future Legends and Jr. Legends are RECREATIONAL soccer programs. Our goal is to keep sports fun for children while emphasizing basic skill development and physical fitness. These are NOT competitive, intense, sports leagues. Our coaches are charged with teaching basic skills and reminding kids to have fun! If you are on the fence or nervous about committing, don't be. We provide several tools to help prepare you… from weekly Skill sessions for players, Practice Plans and Ideas, Coaches’ Games, to even Coaching Courses. You won't be alone. We encourage each team to have two coaches and a team manager. In accordance with the City of Germantown's Volunteer Policies, all volunteers are required to complete a background check performed by the City of Germantown's Parks & Recreation Department. The Background Screening Consent is FOUND HERE. In addition, Certified or Licensed Coaches can receive REDUCED or FREE registration for their child. Details FOUND HERE. If interested in volunteering, have questions or concerns, send us an e-mail at INFO@GermantownLegends.com or register online as a Coach. TOPSoccer - Become a TOPSoccer Buddy! In accordance with the City of Germantown's Volunteer Policies, all volunteers are required to complete a background check performed by the City of Germantown's Parks & Recreation Department. The Background Screening Online Consent is FOUND HERE. If interested in volunteering, please do not hesitate to give us a call, (901) 652-5601 or send us an email.